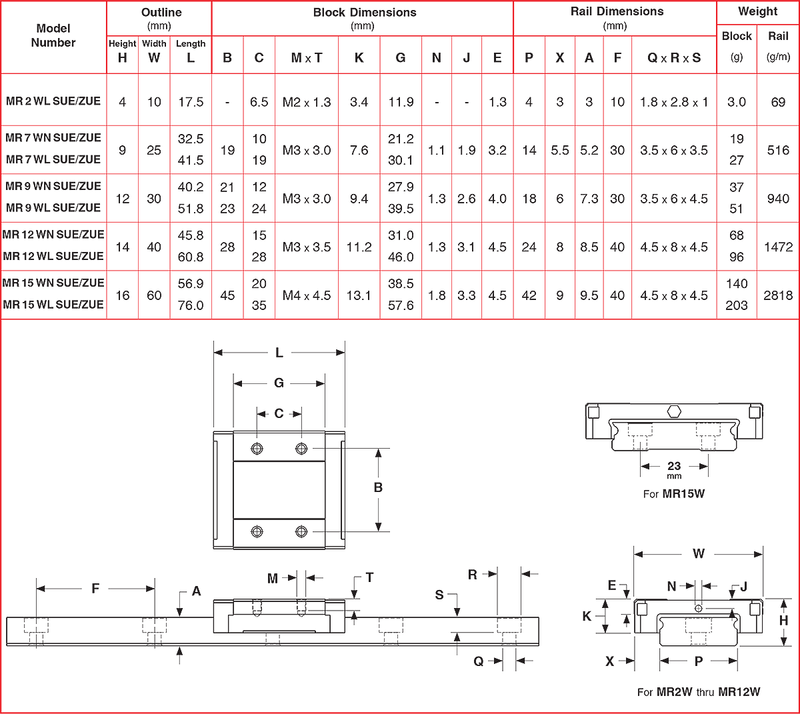 The MR series is miniature 2 row re-circulating profile rail linear guide bearing. The block and LM linear profile rail is made of 440 stainless steel and has an option for seals on both ends of the block and on the bottom of the block. There is also an option for a self, or long, lube block, along with a reenforced block seal that allows for the block to obtain higher speeds. Three different accuracy grades are available, N grade, H grade, and P grade. 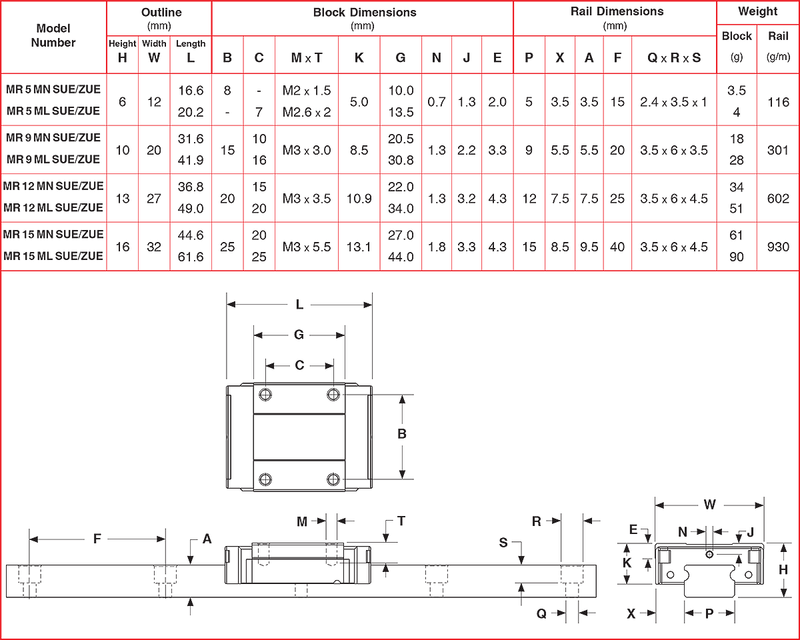 The blocks are available in either a normal or long length, while the rail width is available in a normal or wide version. Theses different sizes allow for different block load capacities.